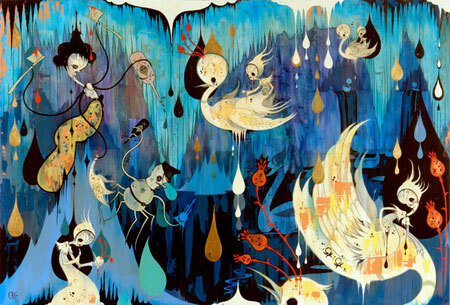 Here is some very lovely (and somewhat disturbing) work from Camille Rose Garcia. 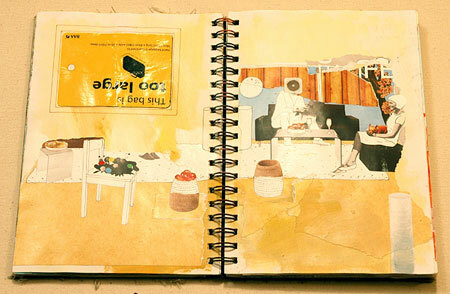 Here’s a lovely little sketchbook from David Kilpatrick. OMG! I can’t believe it. I’m pinching my arm. Could it be true? Also, check out this highly succinct graphic which explains what this all actually means (in computer terms). On a side note, I’ve been really impressed by the New York Times Election 2006 website. It’s just a flat out great representation of data. Props. Cute little graphic via Daring Fireball.